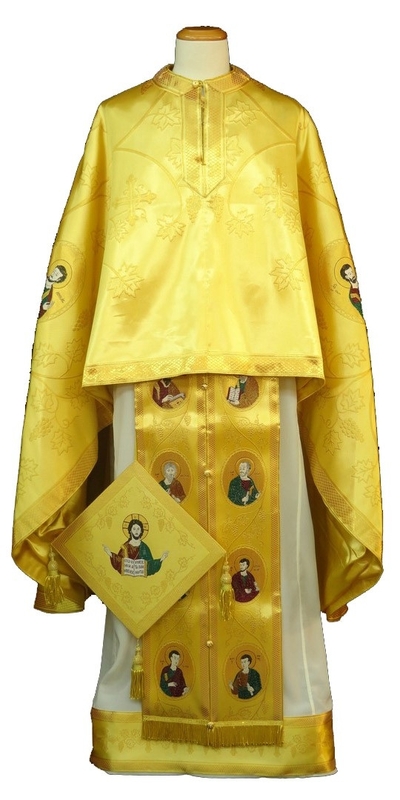 Greek Priest vestments - Apostle Tree gold - Istok Church Supplies Corp.
Greek Priest vestment set. 100% FDY breathable polyster. Please send us your measurements per our Measurement Chart. Galloons and crosses are jacquard ones. For all vestments we use natural rayon lining (no synthetics). This set includes 5 items: phelonion (chasuble), belt (zone), epigonation (palitsa), epitralhilion, cuffs (epimanika). Washing & Care Instructions: we recommend dry cleaning, no bleach, low temperature ironing inside out. I have received the vestments and they are beautiful and fit perfectly as usual. 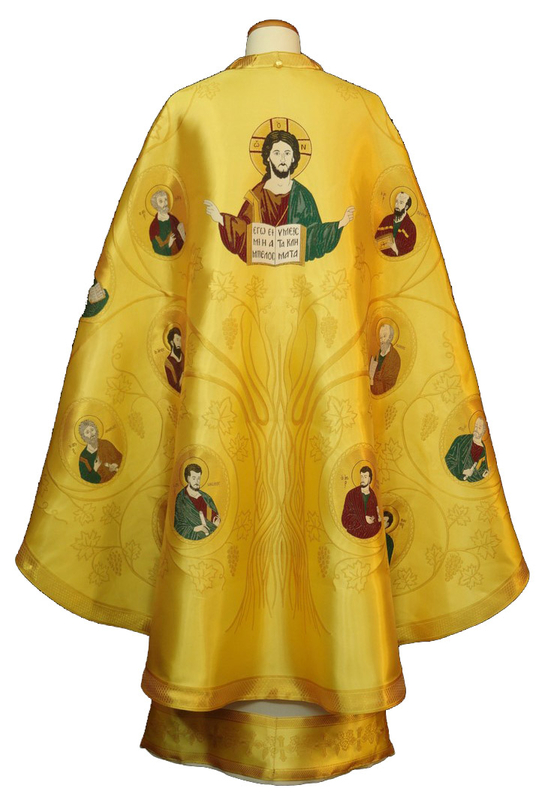 The communion cloth is very nice and as described on your website. Thank you so very, very much! May almighty God bless you! and all your work! There are many gloriously beautiful things available on your website! Thank you!!! Thanks again, God's peace.